Find My Workspace lists over 95% of the business centres market in Whitstable. Simply click Request Quote to check pricing for one office, or Add to Basket for multiple offices. Based in Whitstable, this centre has been completely refurbished to a very high standard and offers modern office space to businesses of all types and sizes. Housed within a contemporary three-storey building, the centre is comprised of 28 offices each varying in size up to 795sqft. 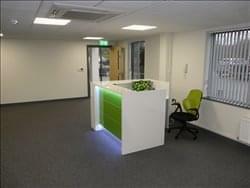 The centre boasts a range of amenities to make your working environment a lovely environment. Tenants will be able to take advantage of meeting room facilities, dedicated breakout space, kitchen facilities, air conditioning and manned reception services. The space is also accessible 24 hours a day, seven days a week.